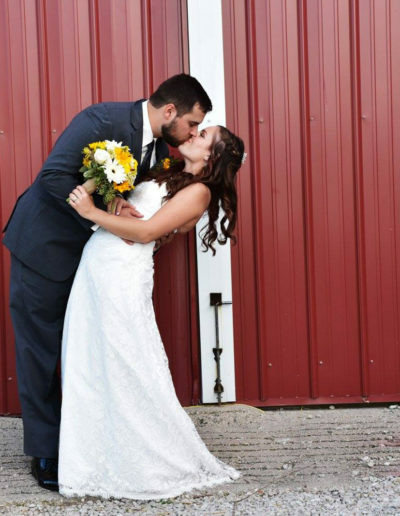 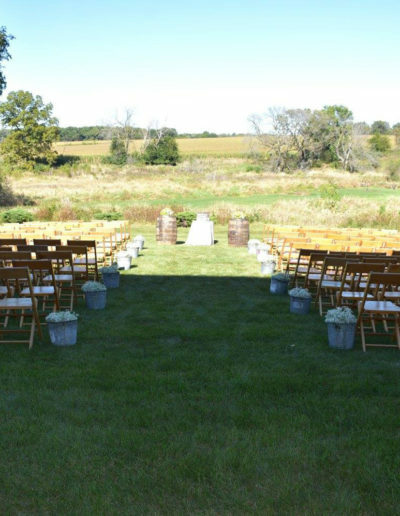 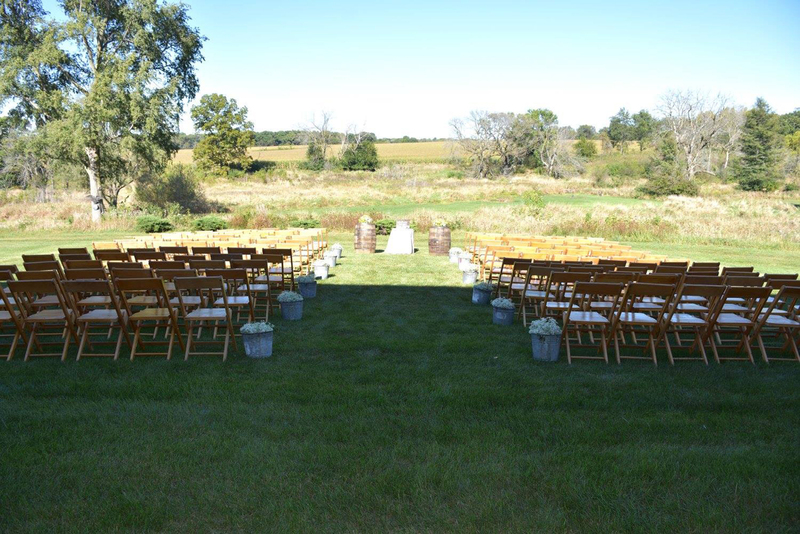 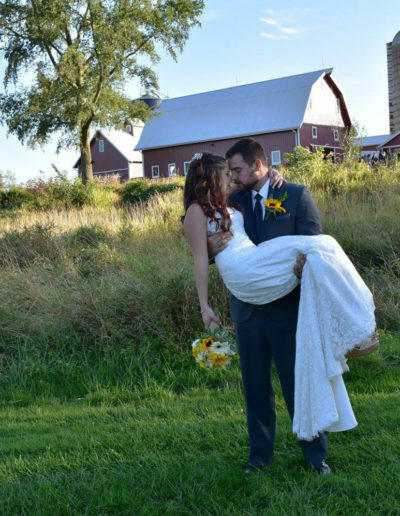 Marvel Davis Farm, set in rural Kane County outside of Chicago, offers a barn-themed wedding experience for couples looking to get away from the city and suburbs. 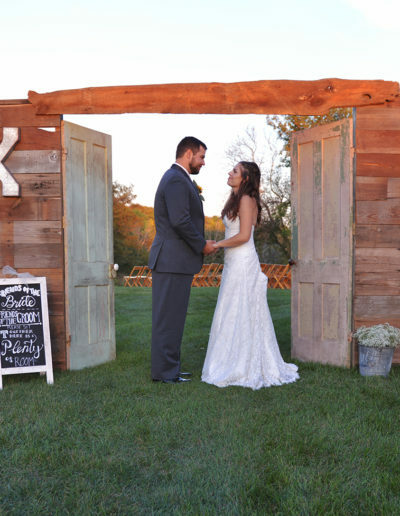 Katelyn and Eric had every detail of their rustic, fall wedding envisioned in their heads and just needed the help of our team to execute. 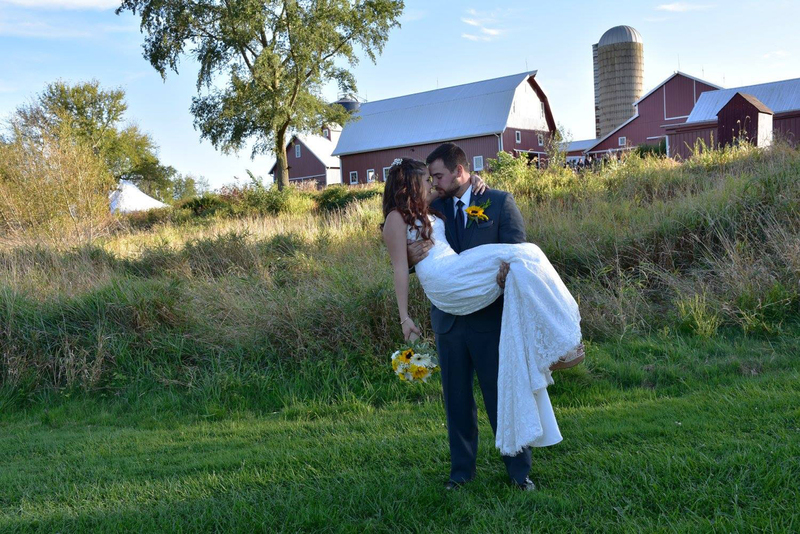 Everything turned out exactly like they had dreamed from the gorgeous ceremony backdrop that nature provided, to the fun golden hues of the flowers, to the twinkling café tent lights. 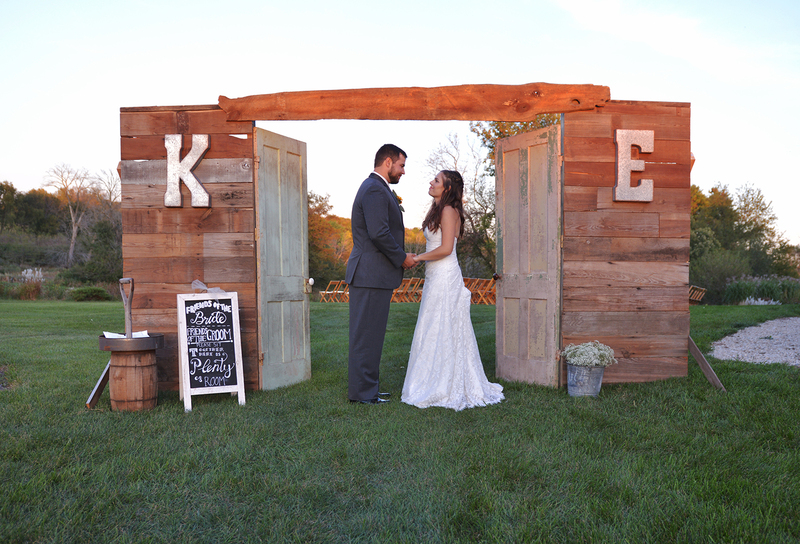 The only way to top the night off was with a giant bonfire – which we did, of course. 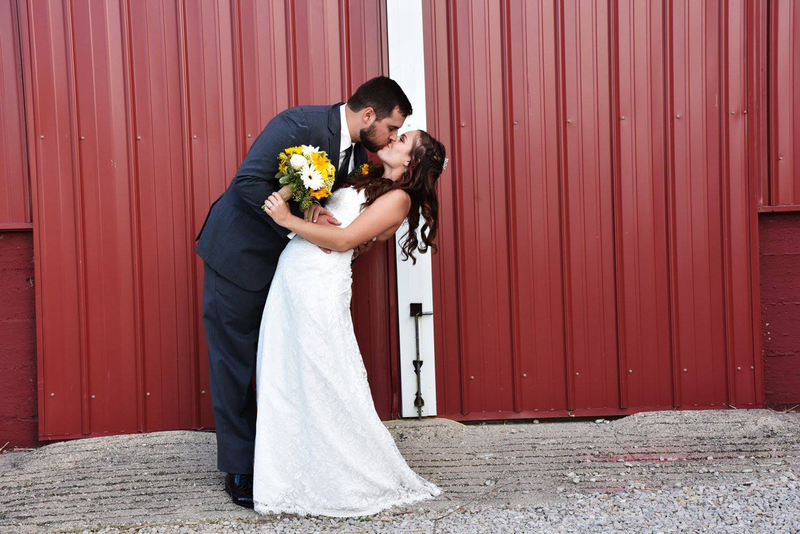 Wedding photos by Beatriz Garen. 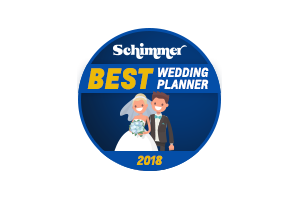 We were recently named as one of the best wedding planners in the area by Schimmer Chevrolet Buick in Mendota.